At Eternity's Gate is a new biopic about Vincent van Gogh in his final years. As an artist himself, the film's director Julian Schnabel tells guest host Saroja Coelho about the new perspective he brings to Van Gogh's story. In the late 19th century, Vincent van Gogh was roaming the French countryside, creating wild and vivid paintings that his contemporaries couldn't understand. He was lonely, poor and spent miserable periods of his life in and out of asylums. Nobody would think that he'd one day be celebrated as a great artist. Julian Schnabel is not the first filmmaker to play out Van Gogh's life and tragedy on the big screen, but as an artist and painter himself, he does bring a new perspective to the story. The film is called At Eternity's Gate and it's a portrait of Van Gogh in his final years. 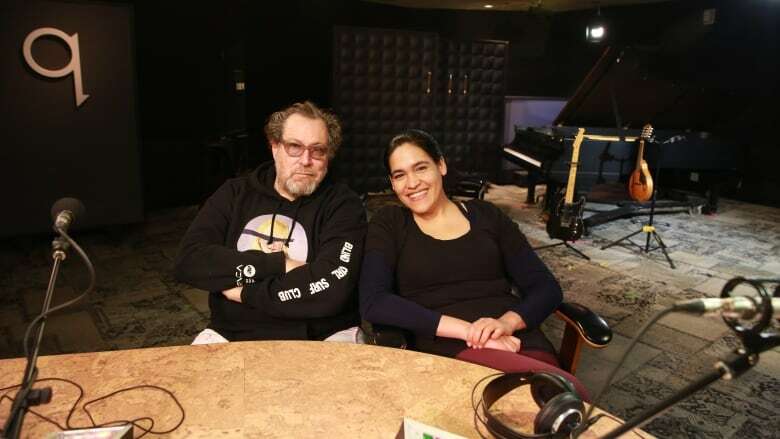 Schnabel joined guest host Saroja Coelho in the q studio to talk about his new film and what makes it different from all the other films about Van Gogh's life. At Eternity's Gate opens in theatres on Friday, November 22. Measha Brueggergosman throws a q block party for her hometown of Fredericton, N.B.